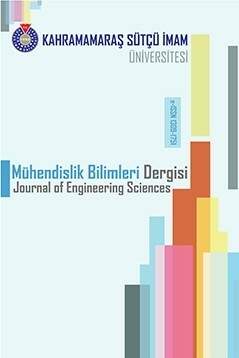 Kahramanmaras Sutcu Imam University Journal of Engineering Sciences is a multidisciplinary journal with all aspects of science and engineering. Kahramanmaras Sutcu Imam University Journal of Engineering Sciences aims to disseminate recent advances in engineering sciences to scientists, engineers and readers. JES is not circumscribed to a definite aspect of science and engineering but is instead devoted to a wide spectrum of branches in the engineering sciences. The journal emphasizes on both theoretical and experimental advancements of engineering. Articles about challenging areas of engineering are encouraged for publication. JES concentrates on publication of studies on interdisciplinary fields of engineering as well. All fields of engineering sciences are welcome for possible publication in the journal.